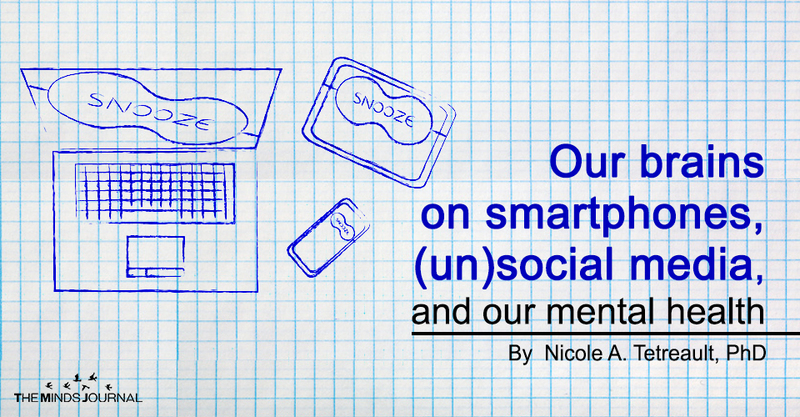 Is all social media and the things we do on our smartphones bad? No. It’s the balance when using our devices and how we interact with them. A smartphone, the internet, or social media can all lead to negative consequences. It is our responsibility to use and interact with them wisely. If we condition our mind and behavior toward constant validation through social media and smartphone use we may suffer from anxiety, depression, and negative mood. Importantly, we have the choice how we interact with our smartphones and social media. Here are a few guidelines to use your smarts when using your smartphone and connecting. Reduce screen time each day by 10 minutes and engage in your surroundings. Mindfully detach from your smartphone. See what happens. Shut down your smartphone when you are not using it and keep it out of sight. Keep your phone out of sight when you are in a meeting. Give the meeting your full attention. If you cannot control shutting your phone and need some support, try a cell phone lock box. Kindness matters on social media. Practice the “Golden Rule” when posting. Treat others with compassion and respect as you would like to be treated. Be a Charter for Compassion. Develop positive promotion of others and yourself. Learn the rules of Humblebrags and avoid them when possible. Social media is for sharing and being social. So, share your great ideas and share other’s great ideas. Recognize if you get trapped in the social validation reward cycle and step back. You can always check your number of likes later and bank the reward. This is the practice of delayed gratification. You are in control of your smartphone. It does not own you! YOU ARE THE SMART ONE! Estimated and Real-World Smartphone Use. PLoS One. 2015 Oct 28;10(10):e0139004. associated with smartphone use and abuse. PLoS One. 2017 Jul 5;12(7):e0180094. Krasnova H, Widjaja T, Buxmann P, Wenninger H, and Benbasat I. Research Note—Why Following Friends Can Hurt You: An Exploratory Investigation of the Effects of Envy on Social Networking Sites among College-Age Users Information Systems Research 201526:3 , 585-605. Primack B, Shensa A, Escobar-Viera C, Barrett E, Sidani J, Colditz J, James A. Use of multiple social media platforms and symptoms of depression and anxiety: A nationally-representative study among U.S. young adults. Computers in Human Behavior, Volume 69, 2017, Pages 1-9, https://doi.org/10.1016/j.chb.2016.11.013. Ward A, Kristen Duke, Gneezy A, and Bos M. Brain Drain: The Mere Presence of One’s Own Smartphone Reduces Available Cognitive Capacity. Journal of the Association for Consumer Research 2017 2:2, 140-154.